At left is the GoPro HERO7 Black. At right is the HERO6 Black. GoPro has released their new lineup of HERO7 cameras. There was only one camera that carried the HERO6 badge: the HERO6 Black. 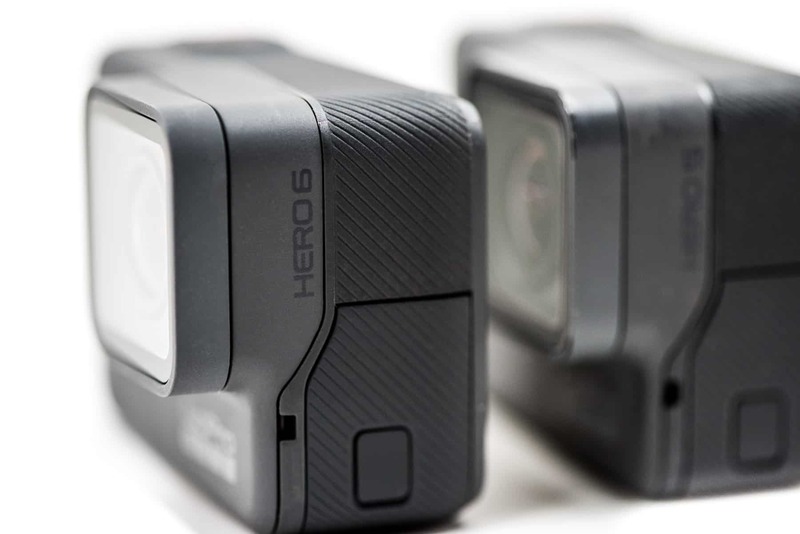 For the HERO7 lineup, GoPro has returned to a color-coded model system that they last fully used back with the HERO3 line.1 There's now a HERO7 White, which is the entry-level model. The Silver is the next one up. And the HERO7 Black is the flagship model with all the bells and whistles. What I'm focusing on here is the new top-of-the-line model, the HERO7 Black, and comparing it with its direct predecessor, the HERO6 Black. On the outside, they're basically the same, with only minor differences. They're a slightly different shade of dark gray, and the model number is now more prominently printed on the side. The H6 also had a lightly ribbed texture around the body; the Black doesn't have that. And the microphone holes on the top and side appear to be ever so slightly larger on the new model, with a different grid shape over the microphone on the bottom. Aside from those relatively small details, the cameras are identical on the outside. Same weight, same dimensions, same buttons, compartment doors, and same screens. Both have the removable lens port cover. You can also clearly see the skin texture here. The H6 Black has a corrugated or ribbed texture. If there's any difference in the grippiness, I haven't been able to tell from holding and using them. The bottom, with the compartment door closed. The micro-HDMI and USB-C ports in the side compartment. The battery and SD card compartment on the bottom. They're both waterproof without the need for a separate underwater housing, both rated down to 33 feet (10 meters). If you need to go deeper than that, you can get a separate SuperSuit dive housing that's stronger and offers more protection against water pressure; they're both compatible with it. They're also much the same on the inside. 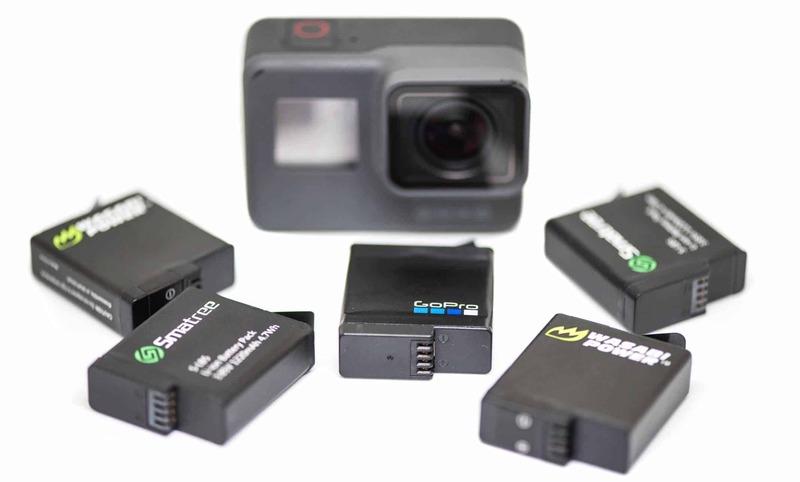 Both use GoPro's own chip developed in-house, known as the GP1. They've reportedly ramped up the clock speed of the GP1 in the H7 to help with the data crunching demands of things like the new HyperSmooth stabilization. 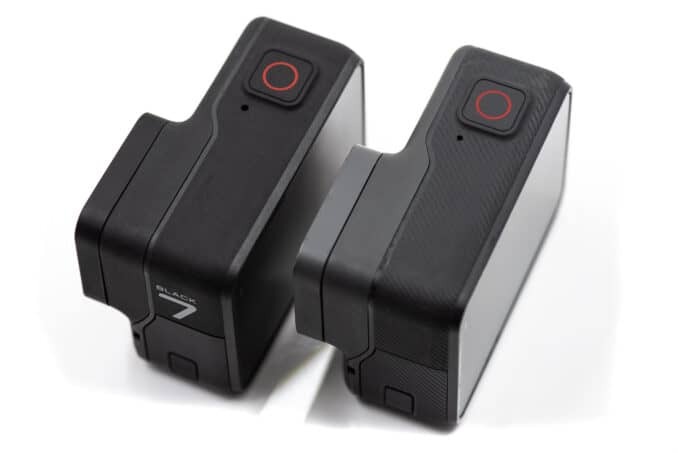 They use the same lens, and based on the photos and videos coming out of the cameras, it appears to be the same sensor as well. Nearly all the ways you can control and interact with the camera are basically the same. Both use the touchscreen on the back as the primary way of accessing the menu system. Both can be controlled wirelessly via the GoPro mobile app. Both have voice control. And both use the same kind of shutter button on top for starting and stopping recording or taking a photo. But there are also some key differences when it comes to more advanced methods of interacting with the camera. Both have the same touchscreen system on the back that acts both as a live view display as well as the primary means for accessing the settings and preferences in the menu system. The design and look of the menu systems have been refreshed in the H7 Black. There are tweaked icons and the occasional splash of color, such as a green icon for a fully charged battery and a red one for one that's about to die. Changing shooting modes is now handled with a swipe left or right rather than a popup menu (although it doesn't actually save the number of clicks, because you still have to confirm the new shooting mode). The menu systems on the back screen, with the H7 Black at left. Overall, I find that the tweaks are an improvement, and I find it to be somewhat simpler and easier to use. That said, it's still not perfect, with a few issues. For instance, while the new text and icons are slicker, the text has been made smaller, making it harder to read, especially when you're bouncing around in a car or on a boat or bobbing around on a surfboard.2 Another issue is that doing some things various, such as some toggling with one touch and others with a second step. And it's all underpinned by the real challenge of trying to fit a touch menu system on such a small screen. But, overall, I like the new layout and design of the menu system better, although it's not unlikely to be a decisive factor in choosing one model over another. Both screens are pretty much identical regarding brightness and crispness. Looking at them very closely side-by-side, the H7 Black's display seems to have just slightly less contrast and therefore retains more detail in the highlights and shadows. But to the extent there's any difference, it's very subtle. Another subtle difference is that the live view of 16:9 aspect modes is centered vertically on the newer model whereas it was flush to the top in the older model (something that's related to the refreshed menu and display system as well). Both cameras can be controlled wirelessly with GoPro's mobile app using a combination of wifi and Bluetooth. When it comes to remotes, both models are compatible with the Smart Remote and the Remo voice remote. Both models can use voice control. So you can do some of the basics like start and stop video recording, switch modes, or take photos with voice commands. You can't change settings by voice command. Both use the same lithium-ion rechargeable battery rated at 1220 mAh. 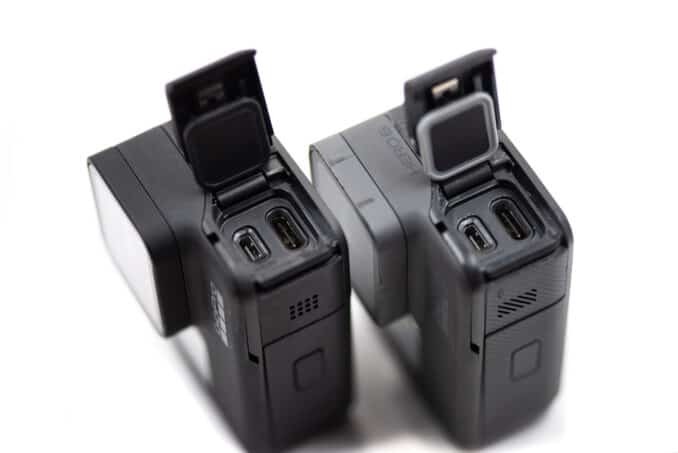 Like the GoPros that have gone before, neither of them has what you’d call stellar battery life--an hour or two of filming in ideal conditions and substantially less than that in less-than-ideal conditions. Using the mobile app will drain the power more quickly. And if you use some of the extra bells and whistles, like GPS and Protune, they will also reduce the battery life further. With the same kind of battery and much the same recording modes, you'd expect the battery life to be the same. But in practice I've found that the HERO7 Black's battery life is not as good as the HERO6 Black's using the same settings. I assume that it's due to the ramped up clock speed of the GP1 chip in the new model consuming more power, but I can't say for sure. To give an idea of what I mean, I ran some side-by-side experiments with a HERO7 Black alongside HERO6 Black. I put them on exactly the same settings and turned off battery-draining features like wireless and GPS. And this is running the cameras uninterrupted with a single recording session until the battery dies, which isn't the way most users are likely to be filming. But I still think it's worth including here. These are by no means exhaustive tests. While I did make sure to switch batteries and memory cards between them to reduce manufacturing variables in those accessories and made sure they were in the same air temperatures, etc, while filming, it's still only a single sample. And there are many factors that can influence the battery life you'll see in real-world recording, even things like ambient temperature (lithium batteries don't work well in very cold or very warm conditions). But I still think it's useful as an illustration of the different battery life I'm seeing between the models. As you can see, the H6 consistently outlasted the H7, and not by small amounts. And I'm surprised at how big the margins are, frankly. For charging the batteries, both have the same options. You can connect the camera directly to a power source via a USB-C cable and charge the battery in the camera. If you're using the right kind of high-output USB-C power source, like GoPro's own SuperCharger, you can take advantage of fast charging. Because the batteries are removable, you can also use an external charger for the convenience of having spares on hand to swap out. The USB-C port is in the same place on each camera, so you can also use the same extended battery options. Most of the video options are the same, but there are areas that have been improved with the new model. Resolutions. Both can shoot up to 4K (3840x2160) in the 16:9 aspect ratio and 4K (4:3) (4000x3000) in the 4:3 aspect ratio. 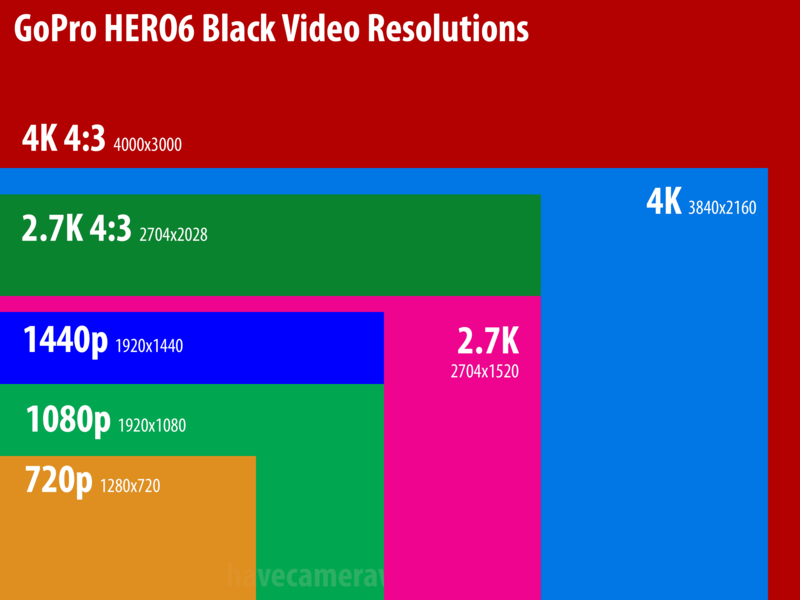 Most of the other resolutions overlap: 2.7K, 2.7K (4:3), 1440p, 1080p, and 720. The H7 Black brings the 960p resolution back, which is a taller 4:3 aspect ratio version of 720p. Framerates. This is an area where there has been a significant upgrade that could be decisive for more than a few users, especially those wanting to do slow-mo. The H7 Black offers faster framerates at more resolutions. For instance, the fastest framerate available is still 240 frames per second, but on the H6 Black you could only get that at 1080p. On the H7 you can get 240fps at 1080p, 960p, and 720p. I've put together more detailed rundowns of the resolution/framerate combinations available on the H7 Black here and for H6 Black here. Bitrates. The bitrate is a measure of the amount of data that is being used for the video data. The higher the bitrate, the less compression that's being applied, which corresponds to higher potential quality. (I say "potential," because there are other things that also influence video quality). The bitrates used for the various recording modes vary, but the maximum bitrate used on both models is 78 Mb/s (megabits per second). It's a variable bitrate encoding, so the precise bitrate can vary a little from clip to clip. Video Codecs. Both cameras save most of their video files in MP4 containers with a .mp4 file extension. Both use a mix of the widely-compatible and older H.264 codec and the newer, more efficient HEVC H.265 codec. But the way that mix works is a little different. On the H6 Black, HEVC is reserved only for the highest video modes, with the rest compressed with H.264. On the H7 Black, you can now choose whether to use HEVC for all videos or try to use the H.264 for most of them (some of the highest video modes can still only be used with HEVC encoding). In practice, I've found that HEVC does offer better quality with smaller file sizes, but the catch is that it's not nearly as compatible as the older H.264. Newer operating systems are adopting it, but if you find yourself running into compatibility issues with HEVC-encoded video, here's a workaround. NTSC/PAL. With both, you can choose between NTSC and PAL format. Both cameras offer in-camera electronic stabilization, but this might be the single most compelling feature to be persuasive about upgrading. It's not accidental that GoPro's own marketing campaign is featuring it heavily. The HERO6 Black has in-camera electronic stabilization to make video footage smoother right out of the camera. The H6's stabilization was an improvement over the H5 Black's, but it was a relatively subtle one. The HERO7 Black has a new version of the in-camera electronic stabilization, and they've given it a new name: HyperSmooth. (The version of stabilization used in the H6 Black is now called Standard and is the version used in the HERO7 Silver.) It's a much bigger upgrade, and, in my tests, is much more effective. Below is a quick example. I've posted several more side-by-side examples separately. HyperSmooth is probably one of the most compelling arguments for upgrading from the HERO6 Black to the HERO7 Black. It does work, and it is better. But whether it's enough to justify an upgrade is going to depend on how important in-camera stabilization is to you. Protune is GoPro's name for the collection of extended expert features that give you more control over the shooting and, when used properly, can result in higher quality output. 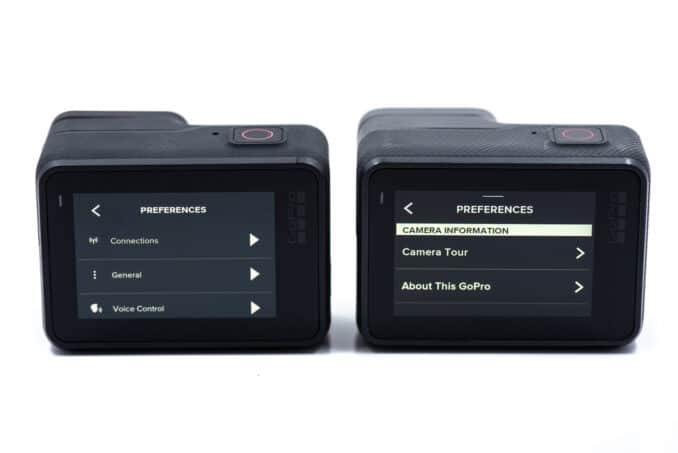 The Protune options on these cameras are basically identical. Here's a detailed listing of the various settings that are available on each model. Both cameras have a zoom feature. It's something I'm a bit ambivalent about and rarely use for two reasons. The most important is that it's a digital zoom, not an optical zoom. So it's a bit like an advanced crop. It makes more sense with video than with still photos because it keeps the output resolution consistent. But working against its usefulness when shooting video is that it's not a particularly smooth or graceful zoom in practice, limiting its usefulness while actually recording. But that's not going to bother everyone and isn't going to be an issue for every shooting situation, especially if you plan on editing out that zoom transition. Both offer a looping mode where the camera records continuously but keeps writing back over at predetermined intervals. It's useful in situations where you want the camera rolling to capture something that may happen unexpectedly and then only want to keep that relevant clip rather than later sorting through hours of dead air footage. An obvious example would be using it as a dashcam in a car or truck. There's a handful of other new features introduced with the HERO7 Black. The HERO7 Black has a new Short Clips option. This fits in with GoPro's efforts in recent years to make it easier to share the footage you shoot with the camera. Short clips are standard video but are saved at predetermined lengths of 15 or 30 seconds. 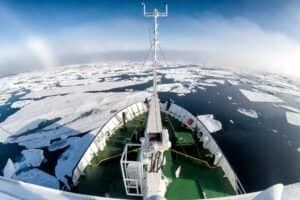 The idea is that they're much more manageable to share via the GoPro app to social media. Another new feature on the H7 Black is a portrait orientation. Put another way, that's filming vertically rather than the usual horizontal (or landscape) orientation. This is something Youtube recently began supporting because so many people film with their phones held upright. On the H7 Black, I've personally found it something of an annoyance when the camera hasn't automatically switched to the correct orientation or you're filming in situations where the camera is moving and doesn't start out flat. Mind you, it's only a minor annoyance because it's easy enough to rotate the clip when editing. And there's a setting you can use in the options precisely to lock in landscape-only recording (called Landscape Lock). Both screens also rotate to reflect the vertical orientation. GoPros can be surprisingly capable stills cameras. They're not quite the same as a full-featured stills camera like a regular compact camera or even something like the Sony RX0, but you can get excellent results out of them, especially in shooting conditions where many other cameras would struggle. There are many more similarities when it comes to using the still photo modes than there are differences. Both of these models have the option to shoot images in RAW. It automatically saves a JPG version at the same time, so you have a fallback if necessary. Both models shoot photos that result in 12MP images that measure 4000 by 3000 pixels. Both cameras have Protune options when shooting photos. These give you finer control over the exposure, including things like ISO, shutter speed, and white balance. There are also options that apply as the image is rendered and saved in the camera, such as sharpness and GoPro color--these apply only to JPGs and not RAW files. The options available in these models are fundamentally identical. There's just one extra white balance option on the H7 Black (5000K). * The shutter settings were added to the HERO5 Black with a firmware update in April 2017 (v.02.00). Using the back touchscreen, you can select which part of the screen that's used to calculate the automatic exposure. Both cameras have this feature. Being able to take quick sequences of photos can come in very handy when shooting fast-moving action or fleeting moments. 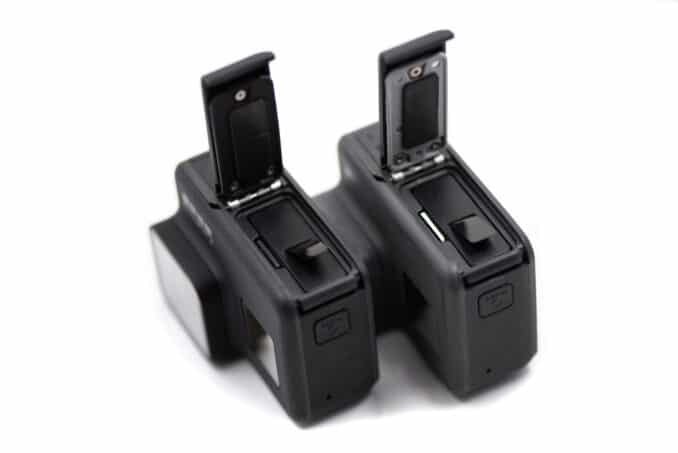 Both of these cameras have it, and they both share the same burst modes: Auto, 30/1, 30/2, 30/3, 30/6, 10/1, 10/2, 10/3, 5/1, and 3/1. A similar feature is continuous capture. Rather than capturing a predetermined number of photos, continuous capture will keep shooting while you hold down the shutter button. It can shoot at either 3 or 30 photos per second, depending on the lighting conditions. I have a more detailed post separately on what burst mode and continuous photo are. 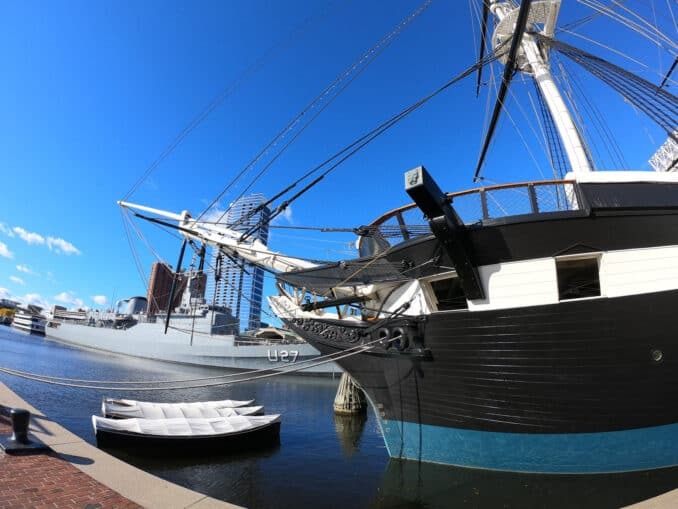 The HERO7 Black includes a new, enhanced photo mode they're calling SuperPhoto. It's actually a combination of automatic enhancement methods to try to create a better-looking photo. 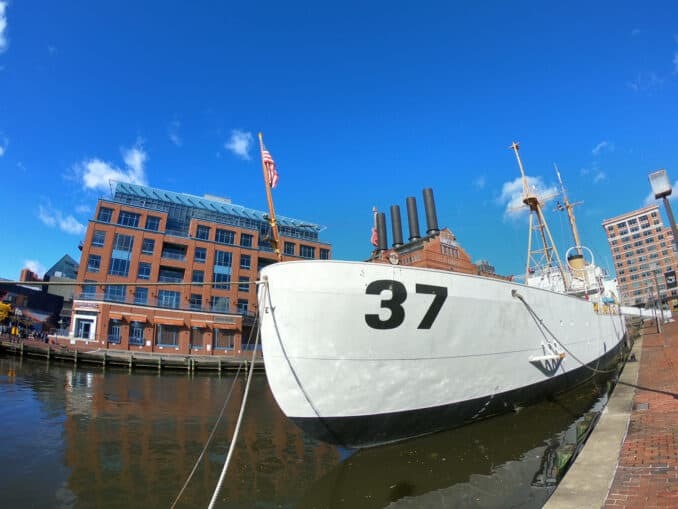 It analyzes the image and tries to use HDR, local tone mapping, or multi-frame noise reduction to help improve the capture and produce a processed image that should look better than a straight capture. You can set SuperPhoto to be on, off, or on auto. Something work noting, though, is that processing such as HDR doesn't work with RAW files; it only works with JPGs. The H6 Black has an optional HDR mode that is similar but simpler. It's just one of the enhancement techniques that goes into the SuperPhoto feature. I've found that SuperPhoto does usually result in a better JPG out of the camera. The contrast tends to be better and the colors richer. But I also prefer to shoot RAW when possible, and the enhancements offered by the SuperPhoto feature aren't anything that you can't do in an imaging editing app worth its salt (such as Lightroom). So for me, SuperPhoto isn't a particularly compelling feature to warrant an upgrade. And I'd be surprised if it's decisive for many others easier. It's one of those new features that's nice to have but that probably isn't going to make much of a difference in choosing between the two models. Both cameras have quite extensive time-lapse capabilities. They both have a Time-lapse Video mode, which captures the frames and then compiles them into a video file in the camera, saving the result as a video file. They offer the same options for setting the interval between shots: 0.5, 1, 2, 5, 10, 30, or 60 seconds. They have similar options for the output resolution, with a few differences. They have Time-lapse Photo mode, which captures the frames and saves each as an individual image file so that you can download them to your computer and compile them there. You can save the resulting images as standard JPGs, or, if you're using an interval of at least 5 seconds, as RAW (.gpr) files (a JPG version is still saved alongside the RAW version). The same interval options are available as with the Time-lapse Video mode. They both also have what's called a Night Lapse mode. This is a tweaked version of the Time-lapse Photo mode that allows for longer shutter speeds to let more light into the sensor. In this mode, there are different interval options: Auto, 4, 5, 10, 15, 20, and 30 seconds, and 1, 2, 5, 30, and 60 minutes. For many time-lapse captures, you're going to want to set up some kind of external power to work around the limited battery life of the internal battery, but that's obviously especially true if you're using some of these much longer intervals. There's one new variation that has been added to the HERO7 Black. That's what's called Timewarp. It's basically the same thing as what's usually called hyperlapse. The key difference between it and standard time-lapse is that standard time-lapse typically has the camera in one fixed spot--or maybe on a slider or rotator robot. Hyperlapse, or in this case, Timewarp, is designed for situations where the camera is on the move. The innovation with Timewarp is that it applies the same kind of stabilization as HyperSmooth to create smooth motion footage instead of what would otherwise be extremely jerky footage. Timewarp saves its results as a compiled video file with the same resolution options as Time-lapse Video. Both cameras have three onboard microphones and can record in stereo with those onboard mics. But in practice, the sound quality from the onboard microphones is always going to be somewhat mediocre. If audio is essential for what you're aiming for, you'll get much better sound quality by connecting an external microphone. You can do that with both models. With both of these models, you also have a Protune option of recording a separate, high-quality audio file along with the video. It saves it as a separate WAV file that has the same filename as the corresponding video file. GPS. Using a built-in GPS chip, the camera can embed the GPS coordinates of the photo or video into the corresponding metadata. 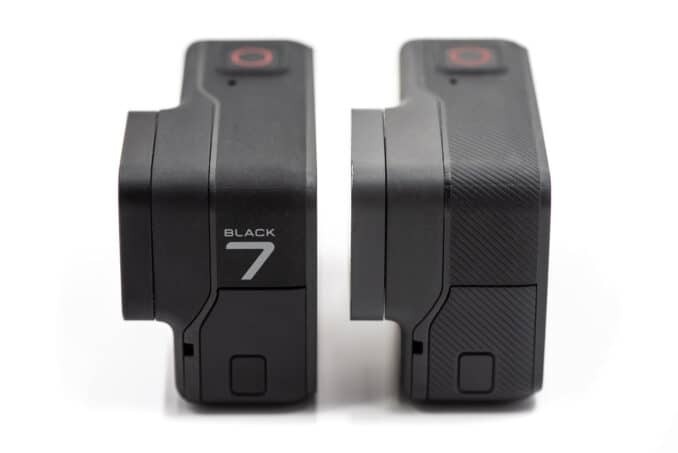 Both the H7 Black and H6 Black have GPS. Karma Drone Compatibility. GoPro abandoned their drone and external stabilizer effort, known as Karma, but if you're still using one, both of these models work with Karma drone and grip. Live Video. They've introduced a new live streaming feature with the HERO7 Black. It's not available with the HERO6 Black. This isn't something I use, and it's somewhat limited in its functionality and compatibility right now, and you have to use it through the mobile app, but the functionality is there on the H7 Black if you want it. Advanced Metadata. The new HERO7 Black has a new feature that can analyze the photo and do things like optimize the exposure for faces, etc. It's not a true facial recognition as it is available on many other cameras, but it is a form of advanced processing that's not available on the HERO6. This is not something I've played around with in depth, but I'm inclined to think that it's not going to be a crucial feature and deciding factor for that many users. One of the issue with the HERO6 Black has been that it's been prone to lockups where the camera becomes inoperable. Removing the battery and starting it up again generally fixes it, but it's definitely an annoyance, especially if you're in the middle of shooting. I've been seeing far less of that with recent firmware, but it's certainly an issue worth mentioning. Unfortunately, I've also had the HERO7 Black lock up on me very occasionally. It's only been a couple of times so far, and it's a slightly different issue, usually on startup, when the screen and controls freeze with some random pixels on the screen. Gain, removing the battery and firing it up again has fixed it. I've only seen it on one camera so far, so it's possible it's related specifically to that camera and not an issue across all HERO7 Blacks. But I'll keep an eye out to see whether others report the same issue (or other issues). 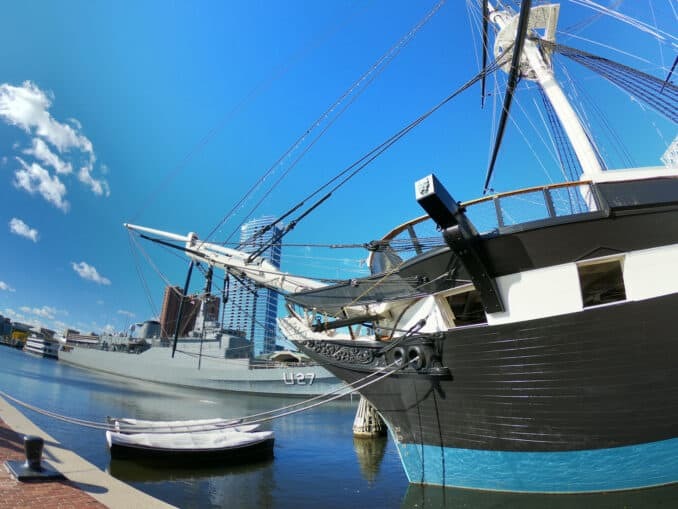 If you don't have either model, it seems to me the only compelling reason to choose the HERO6 Black is that you've found a particularly good deal on it somewhere. The HERO7 Black does everything the HERO6 Black does, does some of them much better, and has a handful of interesting new features. 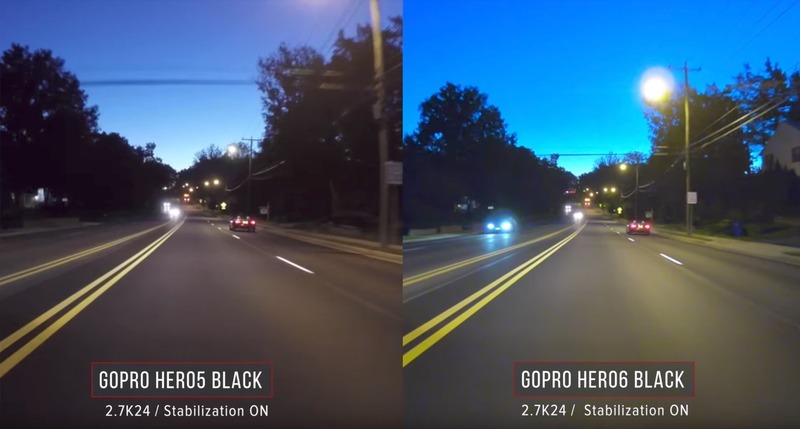 If you already have the HERO6 Black and are wondering whether it's worth the upgrade, that's harder to answer. It really depends on whether the specific improvements and additions of the HERO7 Black are important to you. The two most compelling reasons, it seems to me, are the improved HyperSmooth video stabilization and the Timewarp hyperlapse feature. But those aren't going to be must-haves for everyone. For other users, having stabilization available in modes like 4K60 might make a difference. For me personally, the live video streaming isn't something that I need, but there are obviously others who can really put that to good use. And if you're shooting a lot of slow-motion, the extra fast framerates at more resolutions can be useful. So I don't have a simple answer as to whether it's worth upgrading--for some users it will be, and for others it might not be. Which is why I've laid out the similarities and differences in such detail above--hopefully it helps with making the decision. 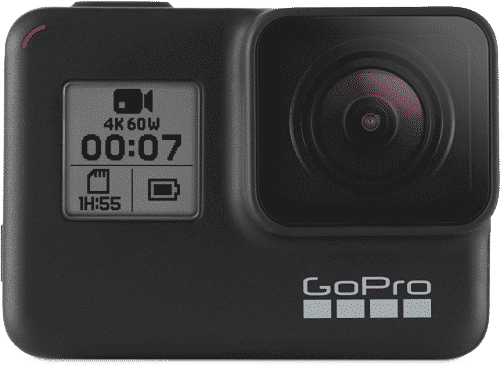 Through March 23, 2019, you can get the HERO7 Black directly from GoPro.com at $50 off, down to $349.99. They're also throwing in an SD card and free 2-day shipping + returns. You can find the deal here. 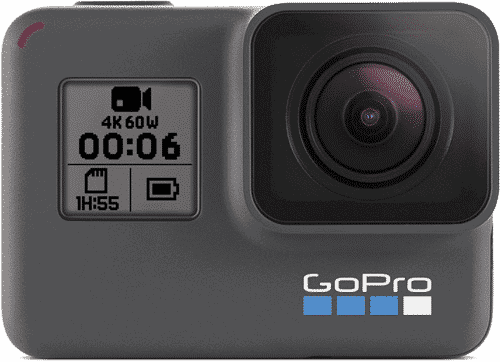 The HERO6 Black is technically discontinued and has been removed from GoPro's own online store, but can probably still find it at B&H and Amazon. I've been doing some side-by-side tests--posting soon--and have found that I'm consistently getting less battery runtime out of the H7 Black than the H6 Black using the same settings. Hi, i want to buy a new gopro dont know if a H6 or H7. I know stabilization is better on H7, but almost video resolutions are the same. I want to use high FPS for slo-mo (yes H7 has more options) but can you tell me if the battery life is the same as H6 or is worse? 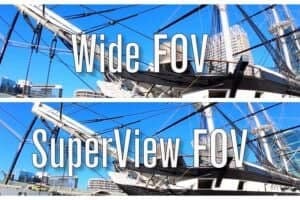 How much time can you record for example ate 1080p120/240 fps? Thanks. I'm sorry to say, but the improved stabilization of the Black7 did not get obvious to me. I could hardly make out any difference. So I will stick to my Black6, gladly. Thank you very much for the really good work and impressing details of your review. Yes, it's more noticeable in some situations than others, and the 6's still works very well. Glad it's working well for you!